May 31,2011 Stanley H.Limits on Big Lake Bronze Beauties!!! May 31,2011 Stanley H.Limits on Big Lake Bronze Beauties!!! Live Shrimp under a cork filled the cooler with a nice limit of 2 & 3 pound Reds and some nice 2 # Flounders and a few Trout to finish the day with a lake Calcasieu Slam!!! May 27, 2011 Phillip H. & Friends From Tulsa and Houston Have a Big Slam On Big Lake!!! May 27, 2011 Phillip H. & Friends From Tulsa and Houston Have a Big Slam On Big Lake!!! Wind and Waves made it a challange but these guys were up to it and with Live Calcasieu Point Shrimp Slammed the Trout , Reds and Flounder!!! May 26, 2011 Clay A. 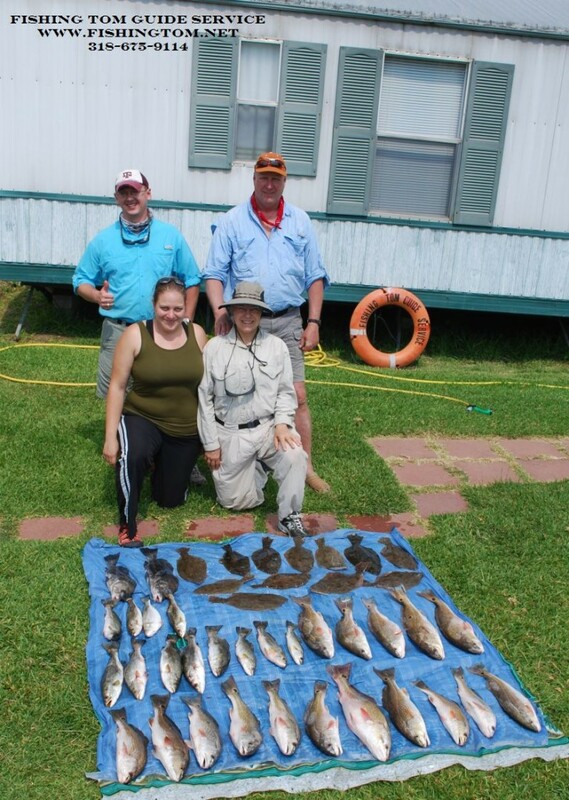 & Friends have a Great Day on Lake Calcasieu!!! May 26, 2011 Clay A. 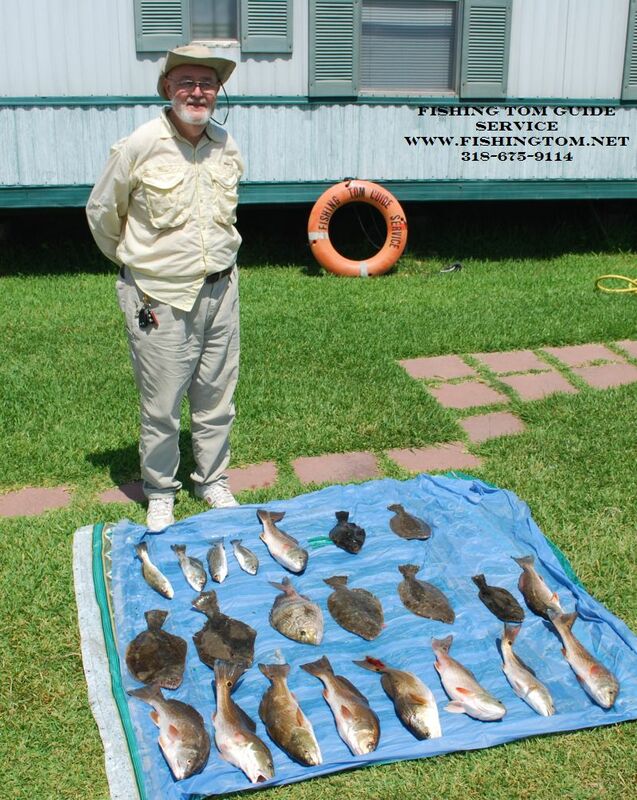 & Friends have a Great Day on Lake Calcasieu!!! Live shrimp under a cork helped these guys slam em on Big Lake! May 21,2011 Jerry K & Wife Nancy, Daughter Carrie & Son in Law Andrew Load the Boat in 20 MPH winds on Big Lake!!! May 21,2011 Jerry K & Wife Nancy, Daughter Carrie & Son in Law Andrew Load the Boat in 20 MPH winds on Big Lake!!! Right from start to finish these guys kept me hussling on the net with lot’s of Doubles and Lake Calcasieu Slams!!!! 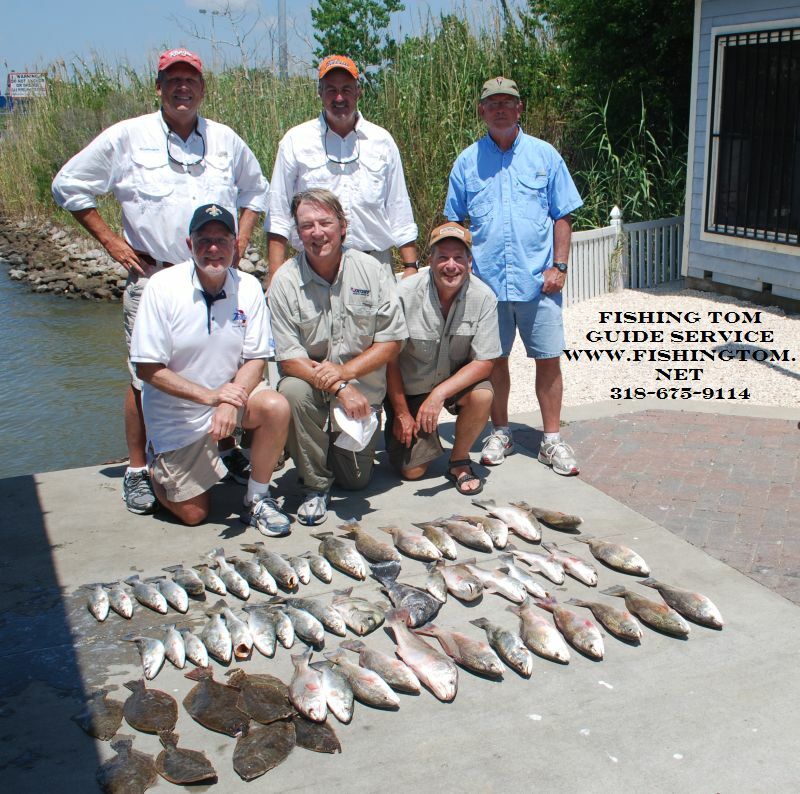 May 19, 2011 Ryan F. & Friends Have a great Spring Trip to Lake Calcasieu!!! 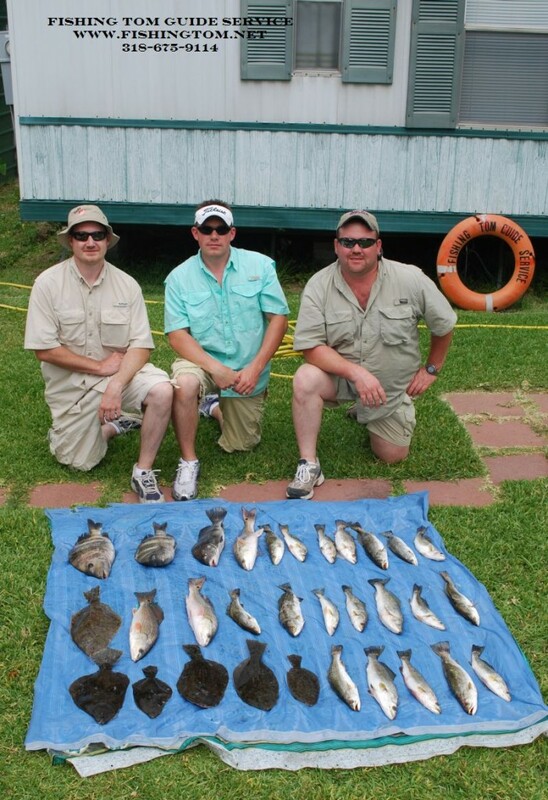 May 19, 2011 Ryan F. & Friends Have a great Spring Trip to Lake Calcasieu!!! 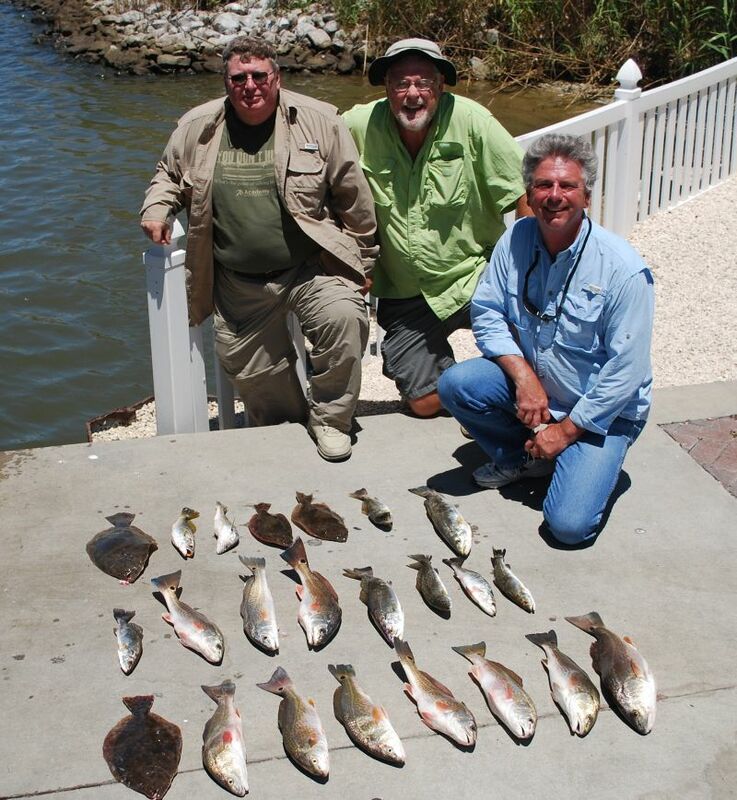 Trout under the birds and Flounder jumping out of the water helped these guys fill the cooler with a nice mess of Trout and some Nice Flounder!!! 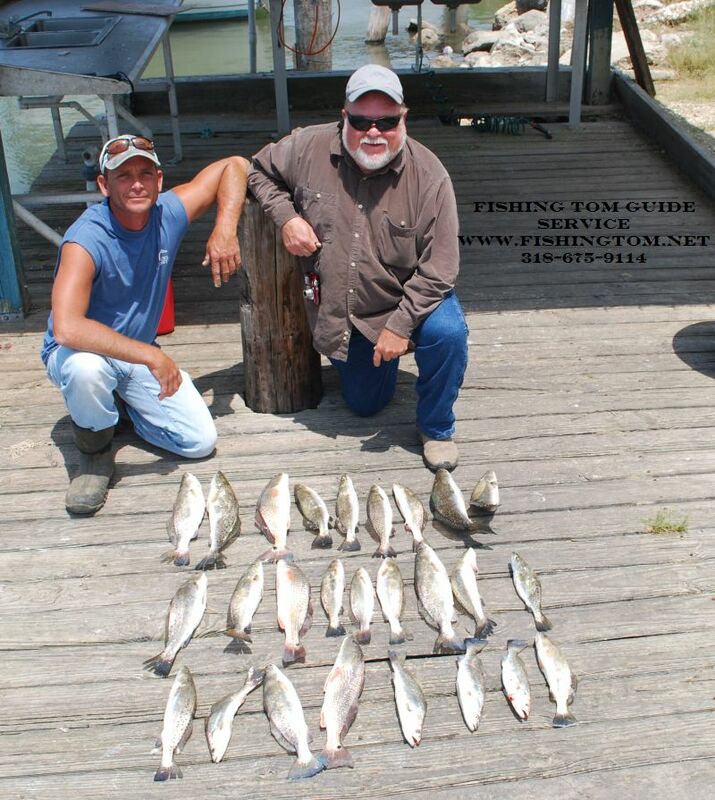 May 18, 2011 Brian D. & Darrryl Catch Big Lake Fever!!! May 18, 2011 Brian D. & Darrryl Catch Big Lake Fever!!! Live Shrimp was the ticket to a nice mess of Lake Calcasieu Trout and Reds dispight 25 mph winds these guys had a great time filling the cooler!